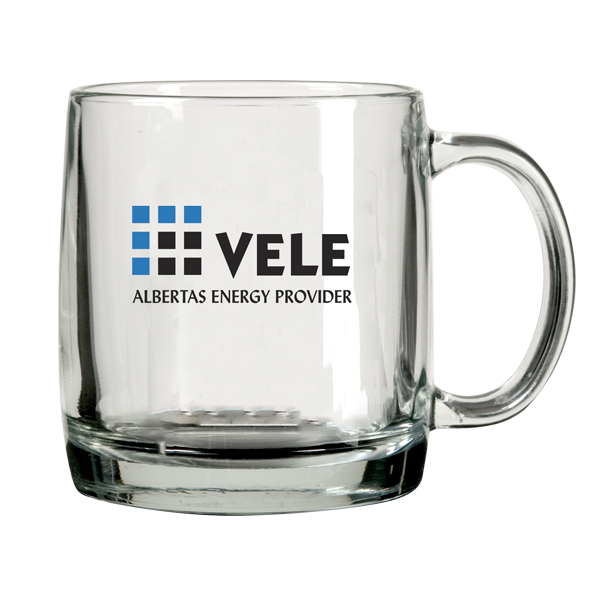 The Nordic Glass Coffee Mug is a clear glass coffee mug that can be custom decorated to suit the needs of special events or promotional advertising. This mug can be custom imprinted on one side or two sides, and can also be printed using a full wrap graphic. 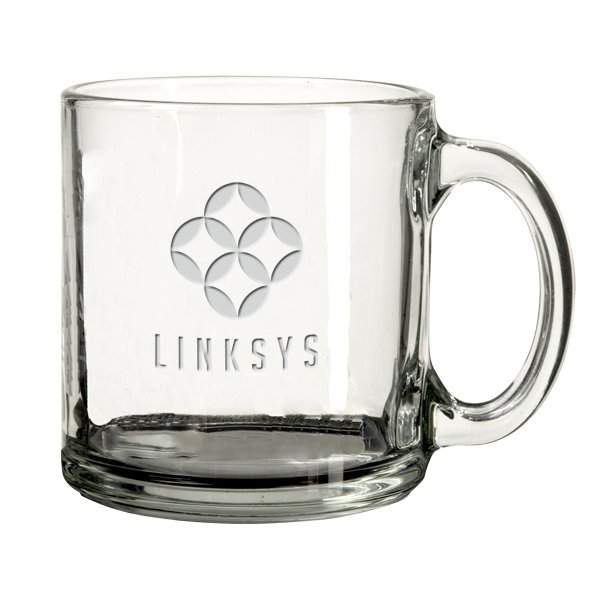 The Nordic Glass Coffee Mug also looks fantastic with sand carving, or sand blasting. This produces a nice deep image and greatly improves the perceived value. Other possible options include the use of etch print or ice print as well as metal flake gold, and silver. 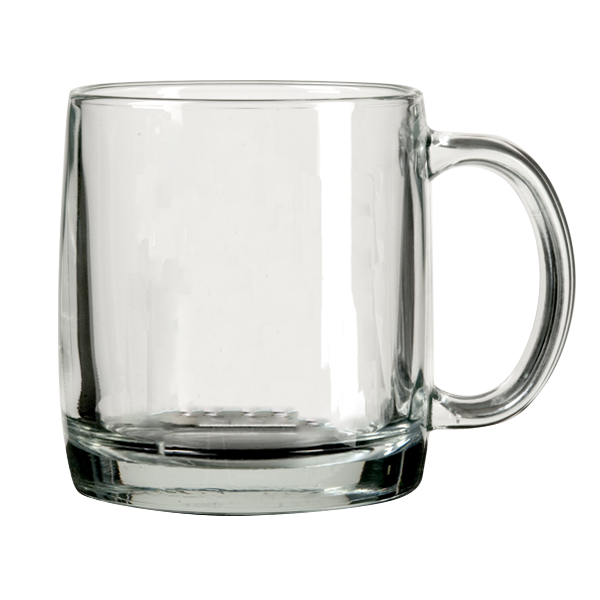 The Nordic Glass Coffee Mug has a nice heavy feel and is a great daily use coffee mug for hot or cold beverages. It is also large enough that it can double as a soup mug to be used in the office. 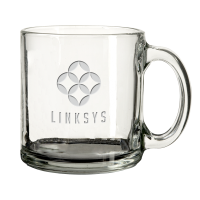 Consider the Nordic coffee mug as a gift by putting it into a custom box as a single or a set of two or four. 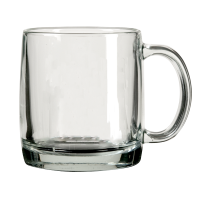 This is a quality mug that most often be selected as someones favourite mug because of the quality and feel. Product Code: 22097 – 13oz.